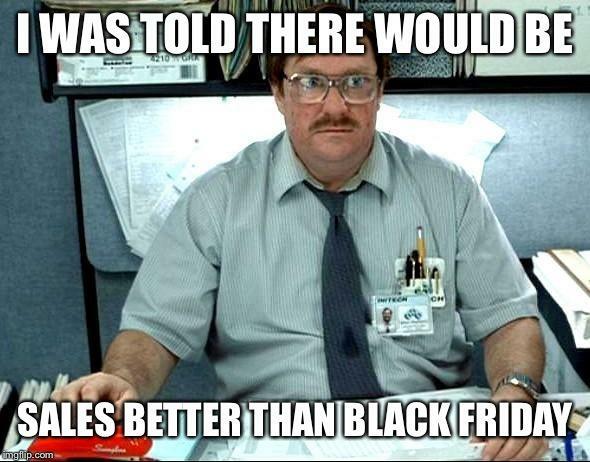 Like most of ‘Merica on July 14th, this year of our Lord, I was pretty excited to participate in the shopping event touted to be bigger than Black Friday, which actually starts on the Thursday before the last Friday of the month of November. Turkeys tend to fear for their lives due to the pre-Black Friday feastings, but I digress. The behemoth known an Amazon: Interweb Warrior announced an all day smorgasbord of sales, savings and deals to celebrate how much of a benevolent dictator it has been over the decades to the citizens of Earth (and the Moon (seriously, look it up)). And they shall call this day–hoping to have it’s own chapter in history books that it will sell on Kindle–PRIME DAY. I think if any other company would be so brazen to declare it’s own holiday, such as Nike declaring “Winner Day” or McDonald’s “Diabetes Day” I might raise my hand, my voice, maybe even a stick, and call foul. But alas, Amazon had planned this from the beginning, or so I’d imagine the future history books will tell us. While Amazon started as an early adopter book dealer back in the days when it was cool to hear “You’ve Got Mail,” it really crept into households when it began it’s Optimus Prime Directive. This name scared too many customers, and violated some copyrights, so they dropped “Prime” and attempted slinging books to nerds before they were cool and people too afraid to come out of their houses; and these people were one in the same. Eventually they began selling everything from books about kitchen sinks to kitchen sinks made out of books. Seriously, look it up. So with Prime in full effect, winning slaves to Amazon’s whims every quarter, they decided that on some seemingly innocent day in July (I mean seriously, July 15th wasn’t doing anything to anybody), they would declare victory. What the history books won’t show are the original plans of celebration. Amazon would claim the children of the Prime members, possibly using them to fly the drones, or even possibly making them the drones to deliver packages. Regardless, the drones are coming, and they may or may not be in the form of your children. You’ve been warned. Other plans included, but not limited to, selling things you probably already have and use such as your car, your house, your spouse (whether you have one or not), your dog, a tree in the woods, a spatula, water, air, the very ground you walk on… Some of these ideas were scrapped because they couldn’t figure out how to put barcodes on them. Eventually, a great idea was culled from the drones to have a massive sale, like regular real stores have on occasion. But what was so brilliant about this idea, is it would be a secret to the general public that would buy into the promise of getting a great deal AFTER they sign the dotted line in blood to participate in this festive event by becoming a Prime member first. So unlike the very basis of Black Friday, Prime Day missed the point in selling items that people actually want in their homes or on their bodies. Instead, they asked a group of old biddies what they’d give to their grandchildren for their birthdays, and based on those algorithms Amazon came up with a revolving list of inventory they already had overstocked and overpriced just to slap a “89% off” savings to convince someone–anyone–to join the Prime network and invite this leftover junk into your house. I personally believe their website included lies. The public weren’t privy to how much stock Amazon had of a certain item, but they had the timer and a percentage of how many “claimed” that item to encourage them to hurry before they felt like worthless losers for not purchasing the largest vat of lube in the market allowable by law. I refuse to believe 85% of available chef’s hats were claimed that day. And who is waiting in line for Van Gogh clogs? Your old biddies, shopping for you this Christmas. That’s who. And if this is a promo to get new blood into the Prime Directive, you’re better off shopping for knee braces on craigslist or the yard sale around the corner next Tuesday. Because if you’re shopping at a yard sale on a Tuesday, you’re probably the one looking for knee braces. The only difference is there’s a good chance it was probably already used. But at least you’ll already know and you can keep your children in the process. Happy Prime Day everybody!